Several marketed antiviral vaccines (such as that against hepatitis virus A and/or B, influenza virus, human papillomavirus, yellow fever virus, measles, rubella and mumps viruses) may elicit various autoimmune reactions. The cause of autoimmune response due to vaccination may be: 1. the adjuvant which is regularly added to the vaccine (especially in the case of various oil substrates), 2. the specific viral component itself (a protein or glycoprotein potentially possessing cross-reactive epitopes) and/or 3. contamination of the vaccine with traces of non-viral proteins mostly cellular in origin. Believing that peptide vaccines might represent an optimal solution for avoiding the above-mentioned problems, we discuss the principles of rational design of a typical peptide vaccine which should contain oligopeptides coming either from the selected structural virion components (i.e. capsid proteins and/or envelop glycoproteins or both) or from the virus-coded non-structural polypeptides. The latter should be equally immunogenic as the structural virus proteins. Describing the feasibility of identification and design of immunogenic epitopes, our paper also deals with possible problems of peptide vaccine manufacturing. The presented data are in part based on the experience of our own, in part, they are coming from the results published by others. Any peptide vaccine should be able to elicit relevant and specific antibody formation, as well as an efficient cell-mediated immune response. Consequently, the properly designed peptide vaccine is expected to consist of carefully selected viral peptides, which should stimulate the receptors of helper T/CD4 cells as well as of cytotoxic (T/CD8) lymphocytes. Keywords: Peptide vaccine, Immune epitope, Novel vaccines, Antigen processing, Influenza virus, Human papillomavirus. © 2018 Rajčáni and Szathmary. vaccines may still possess an unnecessary antigenic load, i.e. traces of contaminating proteins mainly of cellular origin [1Tan M, Jiang X. Recent advancements in combination subunit vaccine development. Hum Vaccine Immunother 2017; 13(1): 180-5. [http://dx.doi.org/10.1080/21645515.2016.1229719] [PMID: 27649319] ]. In result of their presence as vaccine components, the heterologous immunogenic peptides not only interfere with the induction of specific and protective immune response, but also elicit undesired autoimmune reaction(s). The latter is characterized by the presence of autoantibodies reacting with the body antigens and/or by the occurrence of a pathological cytotoxic T cell response [2Toplak N, Avčin T. Autoantibodies induced by vaccine.Vaccines and Immunity 2016; 93-102.]. Further complications arise, when certain types of the major histocompatibility complex (MHC) molecules, which inevitably participate in the antigen recognition event, favour the development of autoimmune response. Taken together, autoimmunity in a hypersensitive individual is triggered by cross-reactive antigenic components present in the vaccine, which are closely resembling (or homologous with) the proteins occasionally expressed and/or continuously present in the body of the vaccinated individual. Due to the phenomenon called antigenic mimicry, the existing tolerance to “self” antigen(s) can be broken, so that a peptide sequence regularly present in a body protein is suddenly recognized as “non-self”. This effect might be enhanced by the presence of the adjuvant used [3Israeli E, Blank M, Shoenfeld Y. Role of adjuvants in infection and autoimmunity.Vaccines and Immunity 2016; 11-24.] and/or due to any preservative substance applied for the inactivation of infectious virus used for vaccine preparation. Even though the additives destined for the vaccines are especially carefully selected, they may not be always as safe as assumed [4Moghaddam A, Olszewska W, Wang B, et al. A potential molecular mechanism for hypersensitivity caused by formalin-inactivated vaccines. Nat Med 2006; 12(8): 905-7. [http://dx.doi.org/10.1038/nm1456] [PMID: 16862151] ]. For example, the rate of adverse complications in association with the combined measles, mumps and rubella (MMRTM) vaccine, has been found to occur in approximately 17,500 individuals per million vaccinated persons [5Lievano F, Galea SA, Thornton M, et al. Measles, mumps, and rubella virus vaccine (M-M-R™II): A review of 32 years of clinical and postmarketing experience. Vaccine 2012; 30(48): 6918-26. [http://dx.doi.org/10.1016/j.vaccine.2012.08.057] [PMID: 22959986] ]. The complications reported in consequence of the MMRTM vaccine administration include a diabetes type I syndrome, thrombocytopenia, arthritis and various CNS disorders such as acute disseminated encephalomyelitis and/or transverse myelitis [6Perricone C, Valesini G, Shoenfeld Y. Measles, mumps and rubella vaccine: A triad to autoimmunity.Vaccines and Immunity 2016; 129-34.]. Another live attenuated virus, the yellow fever vaccine, rarely causes peripheral nervous systems disorders such Guillan-Barré syndrome (GBS) as well as progressive motoric or sensory neuropathies [7Levy RA, Rezende RPV. Yellow fever vaccine and autoimmunity.Vaccines and Immunity 2016; 135-40.]. It has been assumed that the neuropathies in response to yellow fever vaccination develop not only due to the presence of cross-reactive antibodies, but also in result of T cell responses in the individuals, who otherwise reveal hypersensitivity to egg proteins and/or in persons suffering from thymus malfunction abolishing the “self” tolerance control [8Staples JE, Gerhsman M, Fisher M. Centers for Disease Control and Prevention. Yellow fever vaccine: Recommendations of the advisory Committee on Immunization Practices. MMWR Recomm Rep 2010; 59: 1-27. [PMID: 20671663] ]. The hepatitis B (HB) vaccine, which previously had been prepared from the plasma of HBsAg carriers, is recently a recombinant HBs/S glycoprotein, produced in and purified from the yeast (Saccharomyces cerevisiae) cells. Despite that this vaccine has been widely regarded for safe [9Jilg W, Lorbeer B, Schmidt M, Wilske B, Zoulek G, Deinhardt F. Clinical evaluation of a recombinant hepatitis B vaccine. Lancet 1984; 2(8413): 1174-5. [http://dx.doi.org/10.1016/S0140-6736(84)92740-5] [PMID: 6150233] ], rarely it still may cause autoimmunity related neuromuscular disorders, rheumatic disease complications and/or allergic skin disease [10Smyk DS, Sakkas LI, Shoenfeld Y, Bogdanos DP. Hepatitis vaccination and autoimmunity.Vaccines and Immunity 2016; 147-61.]. The licensed HPV vaccines, regardless of their safety, were occasionally found associated with adverse immune reactions such as skin rash, vasculitis, arthralgia, visual disturbances, thrombocytopenia, autoimmune thyroid disease, Raynaude´s syndrome and others [11Tomljenovic L, Shaw A. Adverse reactions to human papillomavirus vaccines.Vaccines and Immunity 2016; 163-74.]. At last, but not least, the influenza virus vaccine was also found associated with autoimmune reactions, namely vasculitis, microscopic polyangiitis, systemic lupus erythematosus, GBS, narcolepsy and related neurological disturbances [12Jara LJ, Medina G, Domingez PC, et al. Influenza vaccine and autoimmune diseases.Vaccines and Immunity 2016; 175-84.]. Thus, the yesterday’s triumphal vaccines, which, though in a modified manner, are still in use and certainly inevitable today, evoke some concern and a variety of challenges to be solved when producing the vaccines of tomorrow [13Nabel GJ. Designing tomorrow’s vaccines. N Engl J Med 2013; 368(6): 551-60. [http://dx.doi.org/10.1056/NEJMra1204186] [PMID: 23388006] ]. Taken together, the mankind facing to recently emerging new viral diseases as well as the classical re-emerging viral disorders has to reckon with different challenges justifying the development of novel vaccines, namely requiring unconventional approaches and proper new solutions. Regarding the above mentioned adverse effects of the licensed and marketed vaccines, the introduction of peptides as vaccine antigens may be of great impact in next future. Polypeptide (protein) sequences other than those coming from the specific peptide (epitope) segment, or contamination of given vaccine with the traces of residual cell proteins and/or nuclei acids found in the culture medium and/or in virus producer cells, represent the main source of undesired immune response. The usage of a suitable oligopeptide mix prepared from immunogenic epitopes engineered in order to elicit not only a highly specific but also a precisely targeted immune reaction may consequently help to avoid the appearance of autoantibodies. Taken together, to induce in the vaccinated individual a desirable antigen-specific T cell and B cell response only, the correctly designed peptide vaccine should be devoid of cross-reactive peptide domains as well as of any “foreign” (non-viral) epitopes [14Sesardic D. Synthetic peptide vaccines. J Med Microbiol 1993; 39(4): 241-2. [http://dx.doi.org/10.1099/00222615-39-4-241] [PMID: 7692052] ]. As a rule, the typical immunogenic epitope contains 20 - 30 Amino Acids (AA), which represent one of the several specific peptide segments present within each protein molecule [15Bijker MS, Melief CJ, Offringa R, van der Burg SH. Design and development of synthetic peptide vaccines: Past, present and future. Expert Rev Vaccines 2007; 6: 591-603.[http://dx.doi.org/10.1586/14760584.6.4. 591] ]. The relatively short immunogenic epitopes located within a long polypeptide chain, are itself sufficient to activate the appropriate cellular (T cell) or humoral (B cell) responses. It should be noted that for induction of B-cell immortalization, followed by specific antibody production, previous initiation of a robust T helper cell response is of essential importance. In a restricted sense out of the whole protein molecule, only the short peptide regions in question, which interact with corresponding antibodies should also react with suitable receptors on the surface of B or T lymphocytes. Nevertheless, the vaccines prepared against intracellular pathogens, such as viruses, must consist of epitopes capable to induce cytotoxic T cell responses (CTL) [16Testa JS, Philip R. Role of T-cell epitope-based vaccine in prophylactic and therapeutic applications. Future Virol 2012; 7(11): 1077-88. [http://dx.doi.org/10.2217/fvl.12.108] [PMID: 23630544] ]. Taken together, the relatively long sequences of whole protein molecules do not act as antigens; in contrary, just their epitopes recognize the corresponding receptors of T cells (called TCR, i.e. T cell receptor), and/or those of B cells (referred to as BCR, i.e. B cell receptor), both located on the surface of primed immune cells. In addition, these epitopes are recognized by the strongly specific moieties located at the highly variable antigen binding fragment (Fab) of any class antibody molecule. The antigen recognition by immune cells requires the so-called “priming” process accomplished by mononuclear phagocytes also termed Antigen Presenting Cells (APC). When mediating the antigen recognition process, the APCs create subsets of B and T cells capable to interact with given antigenic epitopes by means of their above-mentioned receptors in a highly specific manner. Briefly, any ingested protein (polypeptide) molecule, after being engulfed by phagocytes such APCs and/or dendritic cells (DCs), must be processed within the proteasomes, where it is cleaved into smaller fragments. Among them, the immunogenic epitopes are recognized by special Transporter Proteins (TAPs) and then presented at the cell surface linked to carrier molecules called major histocompatibility complex (MHC) and/or Human Leukocyte Asntigen (HLA) proteins. The MHC-I class molecules are present in any nucleated cell yielding the “foreign” epitopes produced in a virus-infected cell for recognition by TCRs of cytotoxic T lymphocytes, which are then able to destroy the infected cell. In contrast, the MHC-II class molecules are present on the surface of professional APCs in order to yield the “foreign” epitope(s) for immune processing, namely for recognition by the TCRs of helper T lymphocytes to launch the antigen priming events. While the aim of the former recognition is to destroy the virus-infected cell, the goal of the latter is to start the antigen processing of viral peptides, which as “foreign” antigens should induce the corresponding antibody production. To achieve this, the cooperation of T helper (CD4) lymphocytes with B cells is of essential importance [17Bellanti JA. Overview of Immunology.Immunology IV, Clinical Applications in Health and Disease 2012; 3-40.]. The design of a subunit vaccine, but especially of a peptide vaccine, implies some precise structural studies concerning the peptide-MHC complexes as well as their biochemical characterization to obtain data for providing a conceptual foundation and rational design of the given peptide (epitope) vaccine. The analysis of the crystal structure of the complex in question (i.e. the selected peptide and the corresponding class II MHC molecule) provides the data for understanding the major rules that govern such interactions [18Stern LJ, Calvo-Calle JM. HLA-DR: Molecular insights and vaccine design. Curr Pharm Des 2009; 15(28): 3249-61. [http://dx.doi.org/10.2174/138161209789105171] [PMID: 19860674] ]. Since the artificially prepared epitope oligopeptide fragments in the form of tiny filaments are often weakly immunogenic, they require carrier molecules, helping to restore their three-dimensional conformation and/or grant their chemical stability [19Purcell AW, McCluskey J, Rossjohn J. More than one reason to rethink the use of peptides in vaccine design. Nat Rev Drug Discov 2007; 6(5): 404-14. [http://dx.doi.org/10.1038/nrd2224] [PMID: 17473845] , 20Vogel FR, Powell MF. A compendium of vaccine adjuvants and excipients. Pharm Biotechnol 1995; 6: 141-228. [http://dx.doi.org/10.1007/978-1-4615-1823-5_7] [PMID: 7551218] ]. The role of the adjuvant in the vaccine formulation was originally described as ‘a substance used in combination with a specific antigen that contributes to a more robust immune response as compared with the antigen alone’. Adjuvants may exhibit their immune-stimulatory effects via the following mechanisms: (1) providing antigen depot; (2) activation of innate immunity through pathogen recognition receptor (PRR) engagement; (3) co-stimulation of immune cells; (4) immunomodulation, i.e. by the maturation of APCs. Any potent adjuvant serves to achieve the expected satisfactory immune response [21Aguilar JC, Rodríguez EG. Vaccine adjuvants revisited. Vaccine 2007; 25(19): 3752-62. [http://dx.doi.org/10.1016/j.vaccine.2007.01.111] [PMID: 17336431] ]. The activation of APCs and especially of DCs at the portal of entry is the main purpose of adjuvant effect. Several strategies are available to keep the desired secondary structure and conformation stability of oligopeptide epitopes, including the incorporation of a flanking sequence and/or addition of hydrophobic moieties such as lipopeptide or another polymer. Unlike to humoral immunity, the stimulation of CTL response does not require specific epitope conformation. The DC activation can result in enhanced antigen uptake, antigen migration to the draining lymph nodes, acquisition of co-stimulatory molecules and enhanced antigen presentation to T cells. It is believed that adjuvants based on the Toll-like receptor (TLR) ligand should be co-delivered with the desired antigen to target the same phagosome cargo at the APC for optimal antigen presentation and subsequent stimulation of antigen-specific T cell responses. Although peptides harbouring the B- or T-cell receptor epitopes are certainly sufficient to elicit an effective immune response, particular attention should also be given to the ability of Toll-like receptor agonists to act as adjuvants. The activation of CD4 helper T cells by a TLR can lead to the generation of co-stimulatory molecules (CD40, CD80, CD70) and to triggering the release of Th1 cytokines such as IL-1, IL-2 and IL-6 along with the tumour necrosis factor (TNF) [22Azmi F, Ahmad AA, Skwarczynski M, Toth I. Recent progress in adjuvant discovery for peptide-based subunit vaccines. Hum Vaccin Immunother 2014; 10(3): 778-96. [http://dx.doi.org/10.4161/hv.27332] [PMID: 24300669] , 23Black M, Trent A, Tirrell M, Olive C. Advances in the design and delivery of peptide subunit vaccines with a focus on toll-like receptor agonists. Expert Rev Vaccines 2010; 9(2): 157-73. [http://dx.doi.org/10.1586/erv.09.160] [PMID: 20109027] ]. The TLRs are expressed on a wide variety of immune cells, including B cells, specific types of T cells, monocytes, DCs, macrophages and many other innate immune cells (NK cells) but also on certain epithelial cells and [24Iwasaki A, Medzhitov R. Toll-like receptor control of the adaptive immune responses. Nat Immunol 2004; 5(10): 987-95. [http://dx.doi.org/10.1038/ni1112] [PMID: 15454922] ]. Their cytoplasmic Toll/IL-1 receptor (TIR) domain recruits various TIR-containing adapter molecules initiating the intracellular signalling cascade that results in the creation of an inflammatory environment. TLRs are type 1 transmembrane proteins composed of an extracellular domain containing leucine-rich repeats. The extracellular domain is involved in the recognition of the so-called Pathogen-associated Molecular Patterns (PAMPs). Probably the best-studied PAMP is the lipopolysaccharide (LPS) molecule in the wall of gram-negative bacteria, also known as endotoxin. The use of PAMPs is an exciting area of adjuvant development since all the multicellular organisms possess PRRs for their recognition. Taking the advantage of PAMPs, vaccine formulations could be developed that would lead to safer and more effective immune stimulation along with reducing the side effects seen by other adjuvants [25Karch CP, Burkhard P. Vaccine technologies: From whole organisms to rationally designed protein assemblies.Biochem Pharmacol 2016; 120: 1-14. [http://dx.doi.org/10.1016/j.bcp.2016.05.001] ]. As the entire human population is equipped with non-equal (heterogeneous) MHC/HLA molecules, the further issue to be considered is the processing and presentation of candidate peptide vaccine by means of an universal sequence component that can be joined to the TAP molecule (transporter associated with antigen processing) and then linked to the MHC molecule at the APC surface. If the candidate peptide vaccine has a binding affinity to more than one MHC allele, it may be considered for more favourable because it can be presented by several antigenic types of the MHC molecules. For the development of a broad-spectrum vaccine revealing multiple serovars, it may be necessary to identify the most conserved as well as the most dominant immune epitope(s) [26Corti D, Voss J, Gamblin SJ, et al. A neutralizing antibody selected from plasma cells that binds to group 1 and group 2 influenza A hemagglutinins. Science 2011; 333(6044): 850-6. [http://dx.doi.org/10.1126/science.1205669] [PMID: 21798894] ]. As already mentioned above, the peptide vaccines when used as isolated oligopeptide fragments are often weakly immunogenic and require particulate carriers as well as adjuvants for their delivery. A variety of bioinformatics tools have been introduced for epitope processing prediction, including but not limited to, assessing the translocation of peptides across the endoplasmic reticulum (where they associate with MHC-I molecules), or modelling the cleavage in lysosomal compartments (for association with the MHC-II molecules). Immune epitope binding occurs according to their MHC/HLA haplotype specificity providing the feasibility for recognition by T and/or B cell receptors. Identification, selection and construction of candidate epitope(s) for the planned peptide mix are then followed by chemical synthesis of selected antigenic peptides. Multiple biochemical and cellular immune-assays have been designed and utilized for the selection of candidate peptide vaccines. The various strategies employ either the in silico approaches or the experimental approaches, or combinations of both. The multiple epitope predictive algorithms which have been developed include structural resolution of the desired antigen by corresponding monoclonal antibody (MoAb) to create a complex which can be analysed by nuclear magnetic resonance and/or X-ray crystallography to identify the antigen to antibody interactions at atomic level [27Hager-Braun C, Tomer KB. Determination of protein-derived epitopes by mass spectrometry. Expert Rev Proteomics 2005; 2(5): 745-56. [http://dx.doi.org/10.1586/14789450.2.5.745] [PMID: 16209653] ]. Furthermore, mass spectrometry can be applied for the identification of antigenic epitope binding by MoAb in additional combination with the silico techniques to map the precise structure and sequence of the epitope [28Panina-Bordignon P, Demotz S, Corradin G, Lanzavecchia A. Study on the immunogenicity of human class-II-restricted T-cell epitopes: Processing constraints, degenerate binding, and promiscuous recognition. Cold Spring Harb Symp Quant Biol 1989; 54: 445-51.[http://dx.doi.org/10.1101/SQB.1989.054.01. 053] ]. “Mimotopes” are peptides mimicking the antigenic conformation structures that are recognized by the paratope antibody [29Huang J, Ru B, Zhu P, et al. MimoDB 2.0: A mimotope database and beyond. Nucleic Acids Res 2012; 40(Database issue): D271-7. [http://dx.doi.org/10.1093/nar/gkr922] [PMID: 22053087] ]. An alternative approach is to express the antigenic peptide from recombinant cDNA library and then screen it for binding to specific MoAb by means of algorithms such as MimoPro, Mimox, Pepitope, Mimo DB 2.0 [30Gershoni JM, Roitburd-Berman A, Siman-Tov DD, Tarnovitski Freund N, Weiss Y. Epitope mapping: The first step in developing epitope-based vaccines. BioDrugs 2007; 21(3): 145-56. [http://dx.doi.org/10.2165/00063030-200721030-00002] [PMID: 17516710] ]. The prediction of linear B cell epitopes is possible by using computerized algorithms such as propensity scale and/or machine-learning algorithm or a combination of both. The hybrid and advanced algorithms can be involved as well, namely ABCpred, BepriPred, BEDDPRo, SVM, PSSM etc [31Langeveld JP, Casal JI, Osterhaus AD, et al. First peptide vaccine providing protection against viral infection in the target animal: Studies of canine parvovirus in dogs. J Virol 1994; 68(7): 4506-13. [PMID: 8207825] ]. The usage of databases containing known T cell epitopes or peptides including information of their respective MHC-binding and corresponding binding affinity should be considered for selection of the correct target in order to bind by the majority of population [32Kupriianova MA, Zhmak MN, Koroev DO, Chepurkin AV, Vol’pina OM, Ivanov VT. Synthetic peptide designs based on immunoactive fragments of the VP1 protein of the foot-and-mouth disease virus strain A22. Bioorg Khim 2000; 26(12): 926-32. [PMID: 11195591] ]. The IMGT HLA database, which gives information of MHC alleles and its polymorphism as well as distribution in the community, seems useful for such purpose [33Robinson J, Waller MJ, Fail SC, et al. The IMGT/HLA database. Nucleic Acids Res 2009; 37(Database issue): D1013-7. [http://dx.doi.org/10.1093/nar/gkn662] [PMID: 18838392] ]. The variety of available structure-based algorithms can be roughly classified as homology modelling, protein threading, and protein-protein docking [34Schuler MM, Nastke MD, Stevanovikć S. SYFPEITHI: Database for searching and T-cell epitope prediction. Methods Mol Biol 2007; 409: 75-93. [http://dx.doi.org/10.1007/978-1-60327-118-9_5] [PMID: 18449993] -36Lin HH, Ray S, Tongchusak S, Reinherz EL, Brusic V. Evaluation of MHC class I peptide binding prediction servers: Applications for vaccine research. BMC Immunol 2008; 9: 8-21. [http://dx.doi.org/10.1186/1471-2172-9-8] [PMID: 18366636] ]. Identification, selection, and construction of candidate epitope(s) or peptide vaccine antigen(s) are finally followed by chemical synthesis of antigenic peptides. The synthesized peptides are subsequently conjugated to carrier molecules or adjuvants, as required. The profiling of resultant constructs is conducted in vitro, as well as tested in suitable animal models for determining its safety, prove the efficacy, later on, followed by progression to pre-clinical and clinical trials [37Li W, Joshi MD, Singhania S, Ramsey KH, Murthy AK. Peptide Vaccine: Progress and challenges. Vaccines (Basel) 2014; 2(3): 515-36. [http://dx.doi.org/10.3390/vaccines2030515] [PMID: 26344743] ]. Recent studies using nanoparticles and other lymphatic-targeting strategies suggest that direct targeting of antigens and adjuvant compounds to Lymph Nodes (LNs) can also enhance vaccine potency without sacrificing safety. The use of formulations to regulate biodistribution and promote antigen and inflammatory cue co-uptake by immune cells may be important for introduction of the next-generation molecular adjuvants [38Moyer TJ, Zmolek AC, Irvine DJ. Beyond antigens and adjuvants: Formulating future vaccines. J Clin Invest 2016; 126(3): 799-808. [http://dx.doi.org/10.1172/JCI81083] [PMID: 26928033] ]. There are several human peptide vaccines under development, for example against Human Immunodeficiency Virus (HIV), human adenovirus type 4 (HadV-4), Hepatitis B Virus (HBV), Hepatitis C Virus (HCV), Hepatitis E Virus (HEV), foot and mouth disease virus, influenza virus, human papillomavirus, rabies virus, Hantaan virus and others. As the latter vaccine concerns, the candidate T-cell epitopes from the S and M segments that bind to class I HLA supertypes were analysed for human proteasome cleavage, transporter associated antigen processing efficiency and antigenicity using bio-informative approaches. The epitope MRNTIMASK which had a high proteasome cleavage score as well as high transporter protein (TAP) affinity score, and showed, in addition, a high antigenicity score as well, was considered for the most favourable moiety [39Sankar S, Ramamurthy M, Nandagopal B, Sridharan G. Short peptide epitope design from hantaviruses causing HFRS. Bioinformation 2017; 13(7): 231-6. [http://dx.doi.org/10.6026/97320630013231] [PMID: 28943728] ]. Natural HLA class I allele-restricted Hantaan virus glycoprotein (Gp) epitopes which can be recognized by cytotoxic lymphocytes (CTLs) have not been reported, a fact limiting our understanding of CTL responses against this infection. Seven out of 34 Hantaan virus Gp nine-mer epitopes that may bind to HLA-A*0201 as predicted by the BIMAS and SYFPEITHI database, were demonstrated to bind with high affinity. In an hantavirus challenge trial, significant inhibition of hantavirus replication, as characterized by lower levels of antigens and RNA loads, was observed in the major target organs (such as liver, spleen, and kidneys) of HLA-A2.1/Kb transgenic mice pre-vaccinated with following nonapeptides: VV9 (AA8-AA16, VMASLVWPV), SL9 (AA996-AA1004, SLTECPTFL) and LL9 (AA358-AA366, LIWTGMIDL). Importantly, the LL9 oligopeptide exhibited the best ability to induce the above mentioned protective CTL responses [40Tang K, Cheng L, Zhang C, et al. Novel identified HLA-A*0201-restricted hantaan virus glycoprotein cytotoxic T-cell epitopes could effectively induce protective responses in HLA-A2.1/Kb transgenic mice may associate with the severity of hemorrhagic fever with renal syndrome. Front Immunol 2017; 8: 1797-813. [http://dx.doi.org/10.3389/fimmu.2017.01797] [PMID: 29312318] ]. The human adenovirus 4 (HAdV-4) conformational epitope (418-AGSEK-422), located within the hypervariable region 7 (HVR7) of the hexon, was defined using the monoclonal antibody (MoAb) MN4b, which showed a strong neutralizing activity against HAdV-4. In addition, a recombinant virus designated rAd3-A4R7-1 and containing the above mentioned neutralizing epitope in the HVR7 region of the HAdV-3 hexon was found to induce an antiserum that prevented the experimental HAdV-4 infection. These results indicated that a small surface loop of the HAdV-4 hexon is the critical neutralization epitope [41Tian X, Qiu H, Zhou Z, et al. Identification of a critical conformational neutralizing epitope in human adenovirus type 4 hexon. J Virol 2018; 92(2): 1-15. [PMID: 29093098] ]. The presumably best epitopes from the adenovirus fibre, hexon and penton base proteins as selected by the silico approach and utilising computational biology, were used to prevent and/or to cure the adenovirus infection. After retrieving the natural protein sequences, the continuous/discontinuous B cell epitopes, as well as T cell epitopes, were predicted under highest degree of selection pressure. Considering the non-allergen, conservancy and population coverage properties, the peptide “SGYDPYYTY” from the adenovirus hexon protein C-5 was validated by above mentioned silico docking study for its interaction with the HLA allele [42Hossain R, Yasmin T, Hosen MI, Nabi AHMN. In silico identification of potential epitopes present in human adenovirus proteins for vaccine design and of putative drugs for treatment against viral infection. J Immunol Methods 2018; 455: 55-70. [http://dx.doi.org/10.1016/j.jim.2018.01.005] [PMID: 29371093] ]. It is well known that the hemagglutinin (HA) gene of influenza virus undergoes frequent mutations leading to the emergence of new virulent strains. Moreover, the genetic reassortment between the genomes of different antigenic subtypes of influenza viruses, when concurrently infecting the same animal host, can result in novel unexpectedly emerging virus strains that may cause pandemics; the highly pathogenic avian influenza A H5N1 and/or the recent outbreak of a novel H7N9 strain in China being the good examples [43Mei L, Song P, Tang Q, et al. Changes in and shortcomings of control strategies, drug stockpiles, and vaccine development during outbreaks of avian influenza A H5N1, H1N1, and H7N9 among humans. Biosci Trends 2013; 7(2): 64-76. [PMID: 23612075] ]. All these issues call for the development of a cross-protective influenza vaccine, or the “universal” influenza vaccine, which can confer protection against a broad spectrum of influenza viruses [44Zhang H, Wang L, Compans RW, Wang B-Z. Universal influenza vaccines, a dream to be realized soon. Viruses 2014; 6(5): 1974-91. [http://dx.doi.org/10.3390/v6051974] [PMID: 24784572] ]. Conserved vaccine targets including the influenza M2 ion channel protein and HA stalk domains have been developed using recombinant technologies to improve the level of cross-protection [45Kang SM, Song JM, Compans RW. Novel vaccines against influenza viruses. Virus Res 2011; 162(1-2): 31-8. [http://dx.doi.org/10.1016/j.virusres.2011.09.037] [PMID: 21968298] ]. The design of a broadly protective influenza vaccine should induce both, antibody and/or cell-mediated immunity against conserved viral proteins such as the M2 ectodomain [46Staneková Z, Király J, Stropkovská A, et al. Heterosubtypic protective immunity against influenza A virus induced by fusion peptide of the hemagglutinin in comparison to ectodomain of M2 protein. Acta Virol 2011; 55(1): 61-7. [http://dx.doi.org/10.4149/av_2011_01_61] [PMID: 21434706] ]. A novel tetra-branched multiple antigenic peptides (MAP) based vaccine was constructed by fusing four copies of M2e to one copy of foreign T helper (Th) cell epitope. M2e, the ectodomain of the M2 protein, is highly conserved across influenza A subtypes and has become an attractive antigen target for producing a cross-protective influenza vaccine conferring broad-spectrum prevention [47Ma J-H, Yang F-R, Yu H, et al. An M2e-based synthetic peptide vaccine for influenza A virus confers heterosubtypic protection from lethal virus challenge. Virol J 2013; 10: 227-33. [http://dx.doi.org/10.1186/1743-422X-10-227] [PMID: 23834899] ]. All approaches which utilize the non-variable regions of antigenic proteins, according to the idea of stimulating cross-protective antibodies, aim at creating the “universal” influenza vaccine [48Wong SS, Webby RJ. Traditional and new influenza vaccines. Clin Microbiol Rev 2013; 26(3): 476-92. [http://dx.doi.org/10.1128/CMR.00097-12] [PMID: 23824369] ]. Even though the approaches mentioned have obvious benefits, there are still many practical objections to clear. The Vacc-FLU is a peptide-based vaccine combining several conserved B and T cell epitopes. Selection of its peptide A was done using a proprietary design platform technology focusing on B cell responses by HLA-restricted epitopes of the M2e region (M2), whilst its peptides B, C and D were designed to induce TCR interaction (M2 protein peptides at AA9-19 and AA27-36, nucleoprotein peptides at AA336-348 and AA217-226). Immunization of wild-type as well as transgenic mice (for HLA-A2.1) with the peptide mix ABCD successfully induced both humoral and cell-mediated immune responses including IFNγ production [49Herrera-Rodriguez J, Meijerhof T, Niesters HG, et al. A novel peptide-based vaccine candidate with protective efficacy against influenza A in a mouse model. Virology 2018; 515: 21-8. [http://dx.doi.org/10.1016/j.virol.2017.11.018] [PMID: 29223787] ]. Based on non-natural D-amino acid combinatorial chemistry a fully artificial CD8+ T cell agonist was developed by reverse engineering that mirrored the immunogenicity profile of a native epitope blueprint from influenza virus matrix protein. This prototype agonist GPPQWNNPP stimulated CD8/T cells in culture that recognized the naturally presented L-amino acid epitope GILGFWFTL of the influenza M protein and effectively primed specific response eliciting protection in humanized mice. Co-circulation of two distinct lineages of influenza B has led to the development of quadri-valent influenza vaccines that contain two influenza B antigens [48Wong SS, Webby RJ. Traditional and new influenza vaccines. Clin Microbiol Rev 2013; 26(3): 476-92. [http://dx.doi.org/10.1128/CMR.00097-12] [PMID: 23824369] ]. The inclusion of influenza B antigens represents challenges for the production and regulation of inactivated quadri-valent vaccines. The B epitope vaccine consists of the highly conserved HA2 fusion peptide and the M2e peptide coupled to a CD4 helper epitope. The T epitope vaccine comprises 25 overlapping synthetic long peptides of 26-34 amino acids, thereby avoiding restriction for a certain MHC haplotype. These peptides were derived from nucleoprotein (NP), polymerase basic protein 1 (PB1) and matrix protein 1 (M1) [50Swati V, Soto J, Anupama V, et al. Determination of influenza B identity and potency in quadrivalent inactivated influenza vaccines 712 using lineage-specific monoclonal antibodies. PLoS One 2017; 12(4): e0175733. [http://dx.doi.org/10.1371/713journal.pone.0175733] , 51Rosendahl HSK, Camps MGM, Jacobi RHJ, et al. Synthetic long peptide influenza vaccine containing conserved T and B cell epitopes reduces viral load in lungs of nice and ferrets. PLoS One 2015; 10(6): e0127969. [http://dx.doi.org/10.1371/journal.pone.0127969] [PMID: 26046664] ]. The Open Reading Frame (ORF) 2 encoded protein of Hepatitis E Virus (HEV) revealing both linear and conformational epitopes was chosen as a primary candidate for the experimental vaccine and for the elaboration of a diagnostic test (ELISA). By means of four MoAbs against the ORF2 protein of HEV genotype 4 two linear epitopes were identified, namely G438IVIPHD444 and Y457DNQH461. Both of them are expected to be common for the genotypes 1, 2, 3, 4 as well as for the avian HEVs. Two 12-mer fragments of ORF2 protein along with the two epitopes in question were described to form a peptide-based enzyme-linked immunosorbent assay (ELISA) indicating that the above mentioned two epitopes could also serve as potential diagnostic antigen candidates [52Miles JJ, Mai PT, Dolton G, et al. (a total of 26 authors). Peptide mimic for influenza vaccination using non-natural combinatorial chemistry. J Clin Invest 2018; 128(4): 1569-80. [http://dx.doi.org/10.1172/JCI91512] ]. In addition, the major anti-HEV antibody responses were described against conformational epitopes located in AA459-606 of HEV pORF2. All the reported neutralization epitopes were found to be present on the dimer domain constructed by this peptide. While looking for a neutralizing monoclonal antibody (MAb) which recognized the linear epitope, the novel neutralizing linear epitope (L2) was found located at AA423-437 of the pORF2. Moreover, the given L2 epitope had been proved non-immuno-dominant in the HEV-infection process. Using the hepatitis B virus core protein (HBc) as a carrier to display this novel linear epitope, it could induce a neutralizing antibody response in mice and could protect rhesus monkeys from HEV infection [54Tang ZM, Tang M, Zhao M, et al. A novel linear neutralizing epitope of hepatitis E virus. Vaccine 2015; 33(30): 3504-11. 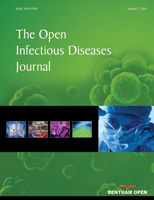 [http://dx.doi.org/10.1016/j.vaccine.2015.05.065] [PMID: 26051517] ]. Several peptide domains of the Hepatitis A Virus (HAV) capsid proteins, namely VP1 and VP3, were described to represent immune-dominant targets for a protective antibody response, especially the peptide sequences by AA11-25 of VP1 and by AA102-121 from VP3 when tested in rabbits in combination either with Freund’s adjuvant or with multi-lamellar liposomes. Especially the antisera raised against the lipo-MAP (multi-antigen peptide) entrapped in liposomes demonstrated high avidity of corresponding antigen binding [55Haro I, Pérez S, García M, Chan WC, Ercilla G. Liposome entrapment and immunogenic studies of a synthetic lipophilic multiple antigenic peptide bearing VP1 and VP3 domains of the hepatitis A virus: a robust method for vaccine design. FEBS Lett 2003; 540(1-3): 133-40. [http://dx.doi.org/10.1016/S0014-5793(03)00249-7] [PMID: 12681496] ]. To evaluate the potential of targeting hepatitis A and E infection simultaneously, a combined mucosal candidate vaccine was developed with the partial Open Reading Frame 2 (ORF2) sequence (AA 368-607) of HEV (HE-ORF2) and partial virus protein 1 (VP1) sequence (AA1-198) of HAV (HA-VP1), which included the viral neutralization epitopes. Tuftsin is an immune-stimulatory peptide which can enhance the immunogenicity of any protein by targeting it to macrophages and DCs [56Gao Y, Su Q, Yi Y, et al. Enhanced mucosal immune responses induced by a combined candidate mucosal vaccine based on Hepatitis A virus and Hepatitis E virus structural proteins linked to tuftsin. PLoS One 2015; 10(4): e0123400. [http://dx.doi.org/10.1371/journal.pone.0123400] [PMID: 25875115] ]. The Hepatitis C Virus (HCV) structural proteins comprise the nucleocapsid or core protein (C) and the two envelope glycoproteins, E1 and E2. The latter (E2) glycoprotein is a major target of the neutralizing antibody response with multiple type-specific and broadly neutralizing antibody epitopes. The AA412-423 region in question can generate broadly neutralizing antibodies that block interaction with the cell surface receptor CD81. Acquisition of escape mutations to the AA412-423 VP1 region renders the virus more susceptible to neutralization and effectively reduces the immunological fitness of the virus. A vaccine for HCV that generates poly-specific humoral immunity with specificity for the 412 - 423 region and at least one alternative region of E2 polypeptide is desirable in future [57Gu J, Hardy J, Boo I, et al. Escape of hepatitis C virus from epitope I neutralization increases sensitivity of other 2 neutralization epitopes. J Virol 2018; 92(9): e02066-17. [http://dx.doi.org/10.1128/JVI.02066-17] ]. Vaccination with Synthetic Long Peptides (SLP) was found a promising new treatment strategy for chronic hepatitis B (HB) virus infection. The prototype HB virus core protein sequence derived SLP was found to boost HB virus-specific T cells in chronic HB patients [58Dou Y, van Montfoort N, van den Bosch A, et al. HBV-derived synthetic long peptide can boost CD4+ and CD8+ T-Cell responses in chronic HBV patients ex vivo. J Infect Dis 2018; 217(5): 827-39. [http://dx.doi.org/10.1093/infdis/jix614] [PMID: 29220492] ]. The presentation of SLP derived epitopes (several epitopes may be present in such SLP construct) is restricted to professional antigen presenting cells such as DC, which are able to induce polyclonal CD8+ T-cell responses. Another peptide-based therapeutic vaccine against HBV designated εPA-44, consisted of immunodominant B cell epitope of the pre-S2 region (AA18-24), a CTL epitope of HBcAg (AA18-27) and a universal T helper epitope of tetanus toxoid (AA830-843). In vitro study indicated that εPA-44 could induce specific CD8+ T cell expansion and vigorous HBV-specific CTL-mediated cytotoxicity in human PBMCs, but in the following phase II clinical trials, εPA-44 failed to show significant efficacy in treating CHB patients [59Shi TD, Wu YZ, Jia ZC, Zou LY, Zhou W. Therapeutic polypeptides based on HBV core 18-27 epitope can induce CD8+ CTL-mediated cytotoxicity in HLA-A2+ human PBMCs. World J Gastroenterol 2004; 10(13): 1902-6. [http://dx.doi.org/10.3748/wjg.v10.i13.1902] [PMID: 15222033] , 60Yang FQ, Rao GR. Research progress of therapeutic vaccines against hepatitis B. Infect Dis Info 2015; 28: 65-9.]. The HB surface antigen (HBsAg) large (L) protein consists of the S, pre-S1 and pre-S2 subunits, from which pre-S domain (pre-S1 + pre-S2) plays a key role in the infection of hepatocytes. A myristylated pre-S1 peptide (AA2-48) also inhibits the attachment of HBV to primary human and/or primary Tupaia hepatocytes. Antibodies and antigens related to the above mentioned pre-S1 peptide sequence can be available as a diagnostic marker of acute and chronic HB virus infections [61Toita R, Kawano T, Kang J-H, Murata M. Applications of human hepatitis B virus preS domain in bio- and nanotechnology. World J Gastroenterol 2015; 21(24): 7400-11. [http://dx.doi.org/10.3748/wjg.v21.i24.7400] [PMID: 26139986] ]. According to Comber et al. [62Comber JD, Karabudak A, Shetty V, Testa JS, Xiaofang H, Philip R. MHC Class I presented T cell epitopes as potential antigens for therapeutic vaccine against HBV chronic infection. Hepat Res Treat 2014; 1: 860562. [http://dx.doi.org/10.1155/2014/860562] ], the L protein of the HB virus envelope glycoprotein revealed 2 immunogenic peptides (GGPNLDNIL and LTTVPAASLLA), the S protein another 2 peptides (ILRSFIPLL and FLGGPPVCL), the core (C) protein a single immunogenic peptide (LTFGRETVLEN), while the non-structural virus-coded polymerase (P protein) at least 3 such peptides (FLKQQYMNL, FLSKQYMDL and TVSTKLCKI). The above mentioned eight novel MHC-I restricted epitopes derived from all the HB virus proteins were capable to activate cytotoxic CD8 T lymphocytes, while five of them could bind to the HLA-A2 and A24 alleles and also activate the specific CD4 T cell responses. Immunogenicity studies with the synthetic peptides coming from different regions of the VP protein of Foot-and-Mouth Disease Virus (FMDV) strain AZZ revealed six active fragments (AA39-61, AA50-69, AA135-159, AA175-189, AA170-189 and AA197-213), from which only peptides AA135-159 and AA176-189 were able to induce T-cell helper activity [63Volpina OM, Gelfanov VM, Yarov AV, Surovoy AYu , Chepurkin AV, Ivanov VT. New virus-specific T-helper epitopes of foot-and-mouth disease viral VP1 protein. FEBS Lett 1993; 333(1-2): 175-8. [http://dx.doi.org/10.1016/0014-5793(93)80399-F] [PMID: 7693508] ]. Other investigators described found a B-cell and a T-cell epitope localized at AA136-152 from the O1K strain and/or at AA35-159 from the A22 strain of FMDV protein VP1, respectively [64Gel’famov VM, Grechaninova LA, Kan ES, et al. [Antigenic structure of the foot-and-mouth virus. VI. Functional segments of the immunodominant region of the VP1 protein of foot-and-mouth virus strains O1K and A22]. Bioorg Khim 1991; 17(5): 596-605. [in Russian]. [PMID: 1722673] ]. The peptide sequence TLASIGTAF spanning 9 amino acids (from 42 to 50) of the L protein (comprising a total of 128 amino acids) also known as RNA-dependent RNA polymerase, was found as the most potential at stimulating the B and T cell epitopes. The peptide in question could interact with 12 HLA class molecules and showed high population coverage up to 80.99% [65Khan MA, Hossain MU, Rakib-Uz-Zaman SM, Morshed MN. Epitope-based peptide vaccine design and target site depiction against Ebola viruses: An immunoinformatics study. Scand J Immunol 2015; 82(1): 25-34. [http://dx.doi.org/10.1111/sji.12302] [PMID: 25857850] ]. The FMDV vaccine that contains CTL epitopes to induce a strong response might protect animals more effectively. Gao et al. [66Gao FS, Zhai JP, Zhang Q, et al. Identification of two novel foot-and-mouth disease virus cytotoxic T lymphocyte epitopes that can bind six SLA-I proteins. Gene 2018; 18: 30154-9. pii: S0378-1119[http://dx.doi.org/10.1016/j.gene.2018.02.025] ] used swine leukocyte antigen class I (SLAI) proteins derived from six different strains of domestic pigs to screen and identify the shared FMDV CTL epitopes. Four such epitopes (designated Q01, Q02, AS3, and QA4) were confirmed by mass spectrometry. These epitopes elicited a cell-mediated immune response as determined by the ELISPOT and CTL assays. Among these four peptides, Q01 and QA4 were found to bind all six SLA-I proteins with strong affinity and elicit significant activity of CTL response (P < 0.01). The authors concluded that at least these 2 oligopeptides (Q01 and QA4) represent novel shared epitopes that can be recognized by all six SLA-I molecules and induce a potent CTL. Therapeutic vaccines that aim to control chronic human immune deficiency virus (HIV) infection would eliminate the need for lifelong antiretroviral therapy (ART). Therapeutic HIV vaccine is being pursued as part of a functional cure for HIV/AIDS. The basic protocol has been outlined for inducing new T cell immunity during chronic HIV-1 infection directed to subdominant conserved HIV-1 epitopes restricted to frequent HLA super-types and for selecting HIV peptides and adjuvants. Peptide subunit vaccines are regarded for safe due to the simplicity, quality, purity and low toxicity. The caveat is a reduced immunogenicity and hence adjuvants are included to enhance and direct the immune response [67Fomsgaard A. Therapeutic HIV peptide vaccine. Methods Mol Biol 2015; 1348: 351-7. [http://dx.doi.org/10.1007/978-1-4939-2999-3_30] [PMID: 26424286] ]. The membrane-proximal external region (MPER) of HIV gp41 harbours the epitope recognized by the broadly neutralizing anti-HIV 2F5 antibody. The MPERp peptide vaccine construct included the following: (i) the complete sequence protected from proteolysis by the 2F5 paratope; (ii) downstream residues postulated to establish weak contacts with the CDR-H3 loop of the antibody, which are believed to be crucial for neutralization; and (iii) an aromatic rich anchor to the membrane interface. MPERp structures solved in dodecyl-phosphor-choline micelles and 25% 1, 1, 1, 3, 3, 3- hexafluoro-2-propanol (v/v), confirmed the folding of the complete 2F5 epitope within continuous kinked helices. In combination with liposomes, the MPER vaccine seems to represent a promising approach for HIV peptide vaccine design [66Gao FS, Zhai JP, Zhang Q, et al. Identification of two novel foot-and-mouth disease virus cytotoxic T lymphocyte epitopes that can bind six SLA-I proteins. Gene 2018; 18: 30154-9. pii: S0378-1119[http://dx.doi.org/10.1016/j.gene.2018.02.025] ]. The genome of the Epstein-Barr Virus (EBV), also called Human herpesvirus 4, encodes approximately 80 proteins, from which 15 possess the at least 90 antigenic epitopes [69Rajčáni J, Szenthe K, Bánáti F, Szathmary S. Survey of Epstein Barr Virus (EBV) immunogenic proteins and their epitopes: Implications for vaccine preparation. Recent Pat Antiinfect Drug Discov 2014; 9(1): 62-76. [http://dx.doi.org/10.2174/1574891X09666140828114812] [PMID: 25164057] ]. The majority of these epitopes (over 80) inducing cytotoxic and/or helper T lymphocytes is located in the non-structural and/or latency associated polypeptides. The interaction mediated by the cytotoxic CD8plus/T cells is restricted to the HLA I molecules, predominantly of HLA-A subclass. The few epitopes which interact with BCR are associated with the envelop glycoproteins (gp350, gp85), with EBNA-l polypeptide and with the latency associated membrane protein (LMP1). In acute infectious mononucleosis (IM) patients (about 40%) a considerable proportion of HLA B8 restricted CTL reactivity is directed against a single peptide (RAKFKQLL) of the trans-activator protein BZLF1/Zta. The authors carefully reconsidered 52 suitable epitopes coming from 16 structural (gp350/220, gp110, gp85) and/or non-structural (LMP1, EBNA2, EBNA3C/EBNA6) virus-coded polypeptides and/or glycoproteins, to prepare the formulation of a protective vaccine based on a rational strategy combining literature mining, biological principles considering vaccine receptors and pathogenicity mechanisms, reverse vaccinology and Systems Biology. The B-cell epitopes were determined using antigenicity and explicit protective effect prediction based on viral sequence variability analysis in combination with the consideration of functional protein sites [70Söllner J, Grohmann R, Rapberger R, Perco P, Lukas A, Mayer B. Analysis and prediction of protective continuous B-cell epitopes on pathogen proteins. Immunome Res 2008; 4: 1-8. [http://dx.doi.org/10.1186/1745-7580-4-1] [PMID: 18179690] , 71Söllner J, Heinzel A, Summer G, et al. Concept and application of a computational vaccinology workflow. Immunome Res 2010; 6(Suppl. 2): S7. [http://dx.doi.org/10.1186/1745-7580-6-S2-S7] [PMID: 21067549] ]. The final selection comprised a mix of 15 peptides (7 potent TCR stimulators and 8 epitopes interacting with BCR). In addition to the selected oligopeptides, synthetic LPS and/or peptidoglycan structures were designed to mimic the PRRs, which were coupled to micro-particles and expected to act as adjuvants in order to achieve an efficient stimulation of APCs. The efficacy in rabbits [72Rajčáni J, Szenthe K, Durmanová V, et al. Epstein-Barr virus (HHV-4) inoculation to rabbits by intranasal and oral routes results in subacute and/or persistent infection dissimilar to human disease. Intervirology 2014; 57(5): 254-69. [http://dx.doi.org/10.1159/000360223] [PMID: 24993954] ] has shown that six out 19 combinations of the selected immobilized oligopeptides which finally were coming from seven immunogenic proteins (including two glycoproteins), when bound to micro-particles along with three different PRR agonist molecules, not only elicited efficient stimulation of APCs in vitro, but also provided satisfactory in vivo protection as demonstrated in the rabbit model [73Rajčáni J, Szenthe K, Bánáti F, Ásványi B, Stipkovits L, Szathmary S. The use of rabbit model for the efficacy of a novel epstein - Barr Virus (EBV) peptide vaccine. J Immunol Clin Research 2016; 3(1): 1028-39.]. The herpes simplex viruses (HSV-1 and HSV-2), both frequent pathogens, are members of the Simplexvirus genus, which along with the Varicellovirus genus (varicella-zoster virus) belong to subfamily Herpesvirinae of the Herpesviridae family. Both HSV species are closely related since they differ only in a few antigenic domains (and/or epitopes) located in the envelope glycoproteins, namely in an entirely distinct gG and/or in the partially unrelated portion of gC [74Roizman B, Campadelli-Fiume G. Alphaherpesvirus viral genes and their functions.Human Herpesviruses: Biology, therapy and immuoprophylaxis 2007; 70-92. [http://dx.doi.org/10.1017/CBO9780511545313.007] ]. The HSV virion contains more than 30 proteins (including at least 11 envelop glycoproteins), that were designated virion polypeptides (VP). In addition, the genome encodes nearly 50 non-structural proteins, also called “infected cell protein” (ICP), thus there are altogether at least 84 polypeptides and/or glycoproteins. The majority of important antigenic epitopes is located in the envelop (in important glycoproteins such as gB, gC, gD, gE, gG, gH, gI and gM), which are closely related to virus penetration into local susceptible cells and nerve endings. Especially gE is essential for the neural uptake and subsequent accomplishing of neural spread [75Rajcáni J. DNA regions and genes determining the virulence of herpes simplex virus. Acta Virol 1992; 36(2): 208-22. [PMID: 1359774] ]. Only a few T-cell epitope-based vaccines were prepared and tested until now so that the “epitope” (peptide) vaccines which selectively stimulate T and B cells (TCR as well as BCR) can be regarded for novel HSV vaccine candidates. Immunisation of mice with the CD8+ T-cell based epitopes induced production of effector and memory CD8+ T cells, reduced the levels of infectious virus in the brains and trigeminal ganglia and provided protection against a lethal challenge of HSV-2 [76Blaney JE Jr, Nobusawa E, Brehm MA, et al. Immunization with a single major histocompatibility complex class I-restricted cytotoxic T-lymphocyte recognition epitope of herpes simplex virus type 2 confers protective immunity. J Virol 1998; 72(12): 9567-74. [PMID: 9811690] ]. Wang et al. [77Wang X, Xie G, Liao J, et al. Design and evaluation of a Multi-epitope Assembly Peptide (MEAP) against herpes simplex virus type 2 infection in BALB/c mice. Virol J 2011; 8: 232. [http://dx.doi.org/10.1186/1743-422X-8-232] [PMID: 21575169] ] prepared a multi-epitope peptide vaccine that contained six B cell epitopes from different glycoproteins of HSV-2 (gB2: 466-473, gC2: 216-223, gD2: 6-18, gE2: 483-491, gG2: 572-579 and gI2: 286-295) as well as four CD4+ T-cell based epitopes (gD2: 21-28, gD2: 205-224, gD2: 245-259 and gB2: 162-177) along with two CD8+ T-cell based epitopes (gD2: 10-20 and gD2: 268-276). All the above-mentioned epitopes were inserted into the extracellular domain (AA1-290) of the HSV-2 glycoprotein D polypeptide in order to construct a multi-epitope assembled polypeptide (MEAP), in which several non-epitope amino acid (AA) sequences had been replaced by the immunogenic epitopes. Alternatively, the epitope vaccine suggested by Wald et al. [78Wald A, Zeh J, Selke S, et al. Reactivation of genital herpes simplex virus type 2 infection in asymptomatic seropositive persons. N Engl J Med 2000; 342(12): 844-50. [http://dx.doi.org/10.1056/NEJM200003233421203] [PMID: 10727588] ], contained 32 synthetic immunogenic HSV-2 peptides, linked to the Hsp70 (a heat shock protein) in combination with the QS-21, a saponine adjuvant. In immunized volunteers, this vaccine caused no complications, though it induced a satisfactory CD4+/CD8+ T lymphocyte response against a wide range of immunogenic HSV-2 peptides as shown in vitro stimulation tests. Chentoufi et al. [79Chentoufi AA, Zhang X, Lamberth K, et al. HLA-A*0201-restricted CD8+ cytotoxic T lymphocyte epitopes identified from herpes simplex virus glycoprotein D. J Immunol 2008; 180(1): 426-37. [http://dx.doi.org/10.4049/jimmunol.180.1.426] [PMID: 18097044] , 80Chentoufi AA, Dasgupta G, Christensen ND, et al. A novel HLA (HLA-A*0201) transgenic rabbit model for preclinical evaluation of human CD8+ T cell epitope-based vaccines against ocular herpes. J Immunol 2010; 184(5): 2561-71. [http://dx.doi.org/10.4049/jimmunol.0902322] [PMID: 20124097] ] prepared a CD8+ T cell epitope-based vaccine (mainly from glycoprotein D, namely gD AA53-61, gD AA70-78 and gD AA278-286) combined with three separate pairs of lipopeptides, that were joined with a human CD4+ T cell peptide epitope (gD AA49-82). This vaccine induced production of HSV-specific CD8+ T cells that prevent (or rather reduces the frequency) the HSV-1 reactivation in latently infected explanted trigeminal ganglia. Moreover, the vaccine in question has significantly reduced the HSV-1 shedding as detected in tears, and boosted the number and function of HSV-1 gD epitope-specific CD8+ T cells in the draining lymph nodes, conjunctival sac and trigeminal ganglion [81Khan AA, Srivastava R, Spencer D, et al. Phenotypic and functional characterization of herpes simplex virus glycoprotein B epitope-specific effector and memory CD8+ T cells from symptomatic and asymptomatic individuals with ocular herpes. J Virol 2015; 89(7): 3776-92. [http://dx.doi.org/10.1128/JVI.03419-14] [PMID: 25609800] ]. In comparison to the successful HSV-2 and/or HSV-1 derived experimental vaccines [82Ďurmanová V, Rajčáni J. Herpes simplex virus 1 and 2 vaccine design: What can we learn from the past? In: J. Ongrády, Ed. Herpesviridae, Rijeka, Intech 2016; 177-216. ISBN 978-953-51-2611[http://dx.doi.org/10.5772/64447] ], which were mainly semi-purified infected cell components and/or recombinant immunogenic polypeptides (especially gD and/or gH), the above mentioned recent attempts aiming to prepare selected oligopeptide (epitope) mixes as future vaccines seem promising as well. The safety, immunogenicity and protective efficacy of a laser adjuvant peptide vaccine (LAP vaccine) were tested in the B6 mouse as a model of genital herpes. The LAP vaccine, and its laser-free peptide vaccine analogue (LFP vaccine) contained the immune-dominant HSV-2 glycoprotein B CD8+ T cell epitope (gB AA498-505) covalently linked with the promiscuous glycoprotein D CD4+ T helper cell epitope (gDAA49-89). Prior to intradermal delivery of the LAP vaccine, topical skin treatment with 5% Imiquimod cream was performed and then the area was exposed for 60-seconds to a laser. Compared to the LFP vaccine, the LAP vaccine showed following effects: (i) it triggered mobilization of dendritic cells (DC) in the skin that formed small spots along the laser-treated areas; (ii) it induced phenotypic and functional maturation of DC; (iii) it stimulated a long-lasting HSV-specific effector memory CD8+ TEM and tissue-resident CD8+ TRM cells locally in the vaginal mucocutaneous tissues (VM); and (iv) induced protective immunity against genital herpes infection and disease. As a possible alternative to the currently used conventional adjuvants, the laser-adjuvant offers a well-tolerated, simply to produce a method for enhancing mass vaccination by widespread HSV infections [83Lopes PP, Todorov G, Thanh T. Laser adjuvant-assisted peptide vaccine promotes skin mobilization of dendritic cells and enhances protective CD8+ TEM and TRM cell responses against herpes infection and disease. J Virol 2018; 92(8): e02156-17. [http://dx.doi.org/10.1128/JVI.03419-14] ]. Using human sera from individuals with recent varicella or zoster infections, the antigenic sequences of varicella-zoster virus gE were localized using recombinant hybrid Virus-like Particles (VLPs) carrying overlapping fragments of this glycoprotein, namely AA1-134 and, to a lesser extent, AA101-161. Pepscan analysis of human sera on overlapping synthetic peptides representing the above-mentioned residues AA1-135 revealed that the most antigenic region was between AA residues 50 and 135. Three immune-dominant sequences (residues 86-105, 116-135, and, to a lesser extent, 56-75) were detected using sera from both varicella and zoster patients. All sera from varicella, but not zoster, patients reacted strongly with a single epitope (AA66-85) [84Fowler WJ, Garcia-Valcarcel M, Hill-Perkins MS, et al. Identification of immunodominant regions and linear B cell epitopes of the gE envelope protein of varicella-zoster virus. Virology 1995; 214(2): 531-40. [http://dx.doi.org/10.1006/viro.1995.0064] [PMID: 8553555] ]. The experimental CMV vaccines currently in clinical trials are generally focused on strategies aimed at providing protection against the development of post-transplantation CMV disease, so their relevance to the prevention of congenital CMV infection is currently unclear. It is known that tegument phosphoprotein (pp65) specific CTL responses are associated with protection of post-transplant patients from CMV disease, and this observation has helped to proceed with the development of pp65-based peptide vaccines. CMV pp65 epitopes critical in protection have been fused to either a synthetic pan-DR epitope (PADRE) or natural tetanus (Tet) sequence and have been evaluated in phase I trials with and without a synthetic CpG Toll-like receptor 9 (TLR9) agonist adjuvant 7909. This adjuvant, when administered with PADRE and Tet pp65, enhanced the immune responses in vaccine recipients. One particular pp65 epitope that has been examined in detail, namely AA495-503, has been estimated to cover approximately 35% of the U.S. population, a fact based on the overall frequency of the HLA A*0201 allele [85La Rosa C, Longmate J, Lacey SF, et al. Clinical evaluation of safety and immunogenicity of PADRE-cytomegalovirus (CMV) and tetanus-CMV fusion peptide vaccines with or without PF03512676 adjuvant. J Infect Dis 2012; 205(8): 1294-304. [http://dx.doi.org/10.1093/infdis/jis107] [PMID: 22402037] , 86Schleiss MR, Permar SR, Plotkin SA, Plotkin SA. Progress toward development of a vaccine against congenital cytomegalovirus Infection. Clin Vaccine Immunol 2017; 24(12): e00268-17. [http://dx.doi.org/10.1128/CVI.00268-17] [PMID: 29046308] ]. Thus, it is conceivable that a poly-epitope vaccine spanning a sufficient number of T cell epitopes could be effectively employed against congenital CMV. A multi-step computational approach predicted six antigenic regions within the E protein of dengue virus type 2 (DENV-2) that concur with the 6 epitopes identified by the combined ELISA and epitope extraction approach. The selected peptides representing B-cell epitopes were attached to a known dengue T-helper epitope and evaluated for their vaccine potency. Immunization of mice revealed two novel synthetic vaccine constructs that elicited good humoral immune responses and produced cross-reactive neutralising antibodies against DENV-1, 2 and 3 [87Ramanathan B, Poh CL. Synthetic B-Cell epitopes eliciting cross- neutralizing antibodies: strategies for future dengue vaccine. PLoS One 2016; 11(5): e0155900.]. The novel approach of synthetic peptides offers several advantages in vaccination studies. Such synthetic peptides can be grouped into two categories: the long ones (SLPs) and the specific epitope (short) peptides. Long peptides may potentially harbour several CD8+ and CD4+ T cell stimulating epitopes, whereas short peptides usually encompass only a single defined epitope. The synthetic long peptides coming from E6 and E7 oncogenic proteins of human papillomavirus (HPV) are overlapping sequences of 15-35 amino acids that cover the entire number of native protein epitopes. They require internalization and processing by APCs and/or DCs to achieve presentation on the major histocompatibility complex (MHC) class I and class II molecules. Several long peptide-based therapeutic HPV vaccines have been tested in clinical trials [88Melief CJ, van der Burg SH. Immunotherapy of established (pre)malignant disease by synthetic long peptide vaccines. Nat Rev Cancer 2008; 8(5): 351-60. [http://dx.doi.org/10.1038/nrc2373] [PMID: 18418403] , 89Melief CJ. Treatment of established lesions caused by high-risk human papilloma virus using a synthetic vaccine. J Immunother 2012; 35(3): 215-6. [http://dx.doi.org/10.1097/CJI.0b013e318248f17f] [PMID: 22421938] ]. A major breakthrough for the whole vaccination field was the observation of a durable and complete regression in 47% of cervical cancer patients treated with the HPV16 E6 and E7 SLP vaccine [90Kenter GG, Welters MJ, Valentijn AR, et al. Phase I immunotherapeutic trial with long peptides spanning the E6 and E7 sequences of high-risk human papillomavirus 16 in end-stage cervical cancer patients shows low toxicity and robust immunogenicity. Clin Cancer Res 2008; 14(1): 169-77. [http://dx.doi.org/10.1158/1078-0432.CCR-07-1881] [PMID: 18172268] , 91de Vos Van SPJ, Ramwadhdoebe TH, Lowik MJ, et al. A placebo controlled randomized HPV16 synthetic long-peptide vaccination study in women with high-grade cervical squamous intraepithelial lesions. Cancer Immunol Immunother 2012; 61: 1485-92.]. In association with this, a strong and broad HPV-specific CTL and helper type 1 (Th1) response has developed, which peaked after the first vaccination. The studies in question demonstrated that the highly immunogenic peptide vaccines are safe and capable of inducing the desired immune responses. In contrast to SLP, the single epitope-specific short peptides (AA8-11) ensure precisely targeted CTL responses following immunization. However, the use of short epitope-based vaccines is restricted to patients of a given HLA type, which requires HLA typing of prospective vaccinated individuals before vaccine application [92Khallouf H, Grabowska AK, Riemer AB. Therapeutic vaccine strategies against human papillomavirus. Vaccines (Basel) 2014; 2(2): 422-62. [http://dx.doi.org/10.3390/vaccines2020422] [PMID: 26344626] ]. Currently, epitopes for a specific HLA molecule are mostly determined by prediction servers, which are based on specific binding motifs, taking into account the so-called anchor residues. These are defined amino acids at specific positions within the peptide, characteristic for each HLA molecule. Lists of motifs (e.g., SYFPEITHI) using a prediction server database of MHC ligands and/or peptide motifs are either conveniently web-based or available at the NetMHC family of prediction servers [93Craig L, Slingluff CL Jr. The present and future of peptide vaccines for cancer: Single or multiple, long or short, alone or in combination? Cancer J 2011; 17(5): 422-350. [http://dx.doi.org/10.3390/vaccines2020422] ]. However, the success rate for de novo prediction of T-cell epitopes, even for well-studied and abundant MHC alleles, is only about 60% due to new alleles or MHC I molecules in a poorly studied ethnic population. Another opportunity to reduce the number of required epitopes lies in the exploitation of HLA supertypes which are groups of HLA molecules that share peptide-binding specificity and therefore a common epitope presentation [94Kast WM, Brandt RM, Sidney J, et al. Role of HLA-A motifs in identification of potential CTL epitopes in human papillomavirus type 16 E6 and E7 proteins. J Immunol 1994; 152(8): 3904-12. [PMID: 7511661] ]. Unlike to above mentioned efficient peptide vaccines, the epitope-based synthetic peptide enterovirus 71 (EV71) vaccine candidate containing VP1 residues at AA211-225 when formulated with Freund’s adjuvant elicited a low virus neutralizing antibody responses only. When formulated in alum, a poor immune response to this vaccine was found in rabbits. From regulatory, economic and market acceptability standpoints, a formalin-inactivated EV71 virion vaccine seems the most promising candidate for the next clinical trials [95Chong P, Hsieh S-Y, Liu C-C, et al. Production of EV71 vaccine candidates. Hum Vaccin Immunother 2012; 8(12): 1775-83. [http://dx.doi.org/10.4161/hv.21739] [PMID: 22992566] ]. Lassa virus (LASV) is an Arenavirus responsible for acute viral haemorrhagic fever also known as Lassa fever. Sequence analyses of the LASV proteome identified the most immunogenic protein that led to predict both T-cell and B-cell epitopes and further target and binding sites. To induce both humoral and cell-mediated immunity, the peptide sequence SSNLYKGVY in a conserved region, i.e. at AA41-49 of glycoprotein (GP1) encoded by the L segment was found to represent the most potential epitope. This peptide sequence might intermingle with 17 HLA-I and 16 HLA-II molecules, covering 49.15-96.82% of the population of common people in different African countries, where the Lassa virus is endemic [96Hossain MU, Omar TM, Oany AR, et al. Design of peptide-based epitope vaccine and further binding site scrutiny led to groundswell in drug discovery against Lassa virus. 3 Biotech 2018; 8(2): 81-9. [http://dx.doi.org/10.1007/s13205-018-1106-5] [PMID: 29430345] ]. The currently available rabies vaccines are mainly inactivated and attenuated viruses, but a peptide vaccine with high safety and efficacy is needed. The ability of various peptides to induce epitope-specific responses was examined, in the result of which two peptides AR16 and hPAB possessed the highest antigenicity and conservation [97Niu Y, Liu Y, Yang L, et al. Immunogenicity of multi-epitope-based vaccine candidates administered with the adjuvant Gp96 against rabies. Virol Sin 2016; 31(2): 168-75. [http://dx.doi.org/10.1007/s12250-016-3734-4] [PMID: 27068655] ]. Alignment of the peptide sequences to envelop glycoprotein G and to nucleoprotein N indicated that the epitopes matching well with G amino acids at positions 34-42, 198-200, 226-264, 296-371 and 330-343, as well as to N-amino acids at positions 22-168 (at N-terminal) and 262-450 (at C-terminal), confirmed that these sequences have indeed mimicked the epitopes. Two sequences, LEPKGRYDDPWT and ATRYDDIWASTA that have no homology to the known antigenic sites of either G or N polypeptides, exhibited a common RYDD-W-T motif that is highly homologous to the amino acid residues at positions 126-141 of the G. Thus, amino acids 126-141 containing the RYDD-W-T motif may represent the best novel key epitope region which is most suitable for the development of a rabies peptide vaccine for prophylactic treatment of rabies and/or of a specific diagnostic reagent [98Yang L, Cen J, Xue Q, et al. Identification of rabies virus mimotopes screened from a phage display peptide library with purified dog anti-rabies virus serum IgG. Virus Res 2013; 174(1-2): 47-51. [http://dx.doi.org/10.1016/j.virusres.2013.02.013] [PMID: 23499997] ]. As a result of the successful eradication of smallpox with the vaccinia virus (VACV), the general population is no longer required to receive a smallpox vaccine and will have no protection against smallpox. This lack of immunity is of concern justifying the development of subunit-based smallpox vaccines resulting from the identification of VACV protective antigens [99Sakhatskyy P, Wang S, Zhang C, Chou T-H, Kishko M, Lu S. Immunogenicity and protection efficacy of subunit-based smallpox vaccines using variola major antigens. Virology 2008; 371(1): 98-107. [http://dx.doi.org/10.1016/j.virol.2007.09.029] [PMID: 17950773] ]. There are two forms of infectious poxvirus: the intracellular mature virus (IMV) and the extracellular enveloped virus (EEV). Recent studies have shown that certain IMV-specific antigens (A27, L1 and D8), as well as selected EEV-specific antigens (A33 and B5), are immunogenic and protective, albeit variably, against VACV infection in mice. The potential of over 30 epitopes was screened individually or in smaller pools depending on the number of possible candidates and positive peptides were confirmed in follow-up experiments using cells depleted of CD8+ T lymphocytes. The identified vaccinia peptides showed remarkable sequence homology with their variola (smallpox) virus counterparts. In fact, 27 of the 36 peptides were 100% conserved, of the 9 peptides with different protein sequences 6 differed by only a single amino acid, 2 two amino acid differences and one peptide had 5 divergent amino acids. At the protein level, the 4 proteins in question showed a very high homology between vaccinia, variola, monkeypox and camelpox viruses and induced an IFNγ response [100Kennedy RB, Poland GA. The identification of HLA class II-restricted T cell epitopes to vaccinia virus membrane proteins. Virology 2010; 408(2): 232-40. [http://dx.doi.org/10.1016/j.virol.2010.09.013] [PMID: 20961593] ]. Peptide sequences unique to poliovirus proteins and conserved among polio strains might help formulate a specific and universal anti-polio vaccine able to react with multiple viral strains and exempt from the burden of possible cross-reactions with human proteins. Examination of the PV1 Mahoney polyprotein primary sequence allowed to describe a set of pentapeptides uniquely owned by PV1, endowed with immunologic potential, and conserved among 43 PV strains. Seven potentially immunogenic peptides (in the order PV465-469MMATG, PV708-712RFDME, PV752-756DYTWQT, PV763-767FYTYG, PV783-789AYSHFYD, PV835-839KIRVY, and PV847-851VWCPR), derived from epitopes corresponding to (or formed of) penta-peptides unique to PV1, showed 100% conservation among the 43 PV strains/variants under analysis. The seven potentially immunogenic unique peptide sequences had the same level of conservativeness in PV2 derived strains (data not shown). Such new vaccine formulations and renewed research efforts might help to fight the PV infection if needed in future [101Kanduc D, Fasano C, Capone G, Delfino AP, Calabrò M, Polimeno L. Applying the concept of peptide uniqueness to anti-polio vaccination. J Immunol Res 2015. Article ID 541282.]. Theoretically, the viral consensus epitope peptides appear to be ideal tools to generate anti-PV immune responses promising of high specificity, thus avoiding serological cross-reactivity between human polyomaviruses, as well as possible cross-reactions with the human host. Table 1 brings a brief survey of strongly immunogenic antigen epitopes eliciting well documented T cell as well as B cell responses, which may become peptide vaccine candidates in next future. Survey of important immunogenic peptides tested as vaccine candidates. The recently marketed subunit and/or inactivated virus vaccines may suffer from the possibility of inducing autoimmune complications occurring (though rarely) due to traces of contaminating proteins along with the harming effect of certain adjuvants. Nevertheless, vaccination is the most important tool of infectious disease prevention, since, by infection of a non-vaccinated individual, the process of immune recognition is rather complicated and long-lasting. Namely, it starts with proteasome cleavage of viral polypeptide within the cytoplasm of phagocytes (APCs). Afterwards, the nascent epitopes (oligopeptides) interact with the corresponding receptors of T and/or B lymphocytes when yielded by means of the MHC/HLA molecules located at the surface of APCs. The T cells produce either a variety of cytokines (helper T/CD4 lymphocyte) or destroy the virus producer cell itself (cytotoxic T/CD8 lymphocyte). The B cells are activated in order to proliferate and differentiate into mature plasma cells, which are specialized for specific antibody synthesis. In contrast to traditional vaccines, the peptide vaccines, as a rule, represent a mix of several highly antigenic immunogenic epitopes (oligopeptides), representing a relatively small portion of the whole protein (i.e. a large polypeptide) molecule in the absence of undesired cross-reacting antigens. The epitope vaccines which are devoid of contaminating substances are believed not to induce autoantibody formation. The undesirable antigens might be present in any classical vaccine despite of the comprehensive efforts to use efficient purification procedures at their manufacture. Strategy of novel vaccine preparation is to develop the peptide vaccines, which could step by step replace not only the marketed live (attenuated) or inactivated virus vaccines but also the subunit vaccines, regardless whether they are full-length recombinant proteins (glycoproteins) or their truncated fragments, which may still possess traces of undesired heterologous antigenic determinants. All of these may (though rarely) elicit autoimmune complications if associated with a certain class of MHC/HLA molecules. The authors thank all co-workers whose names are quoted in the References. Toplak N, Avčin T. Autoantibodies induced by vaccine.Vaccines and Immunity 2016; 93-102. Israeli E, Blank M, Shoenfeld Y. Role of adjuvants in infection and autoimmunity.Vaccines and Immunity 2016; 11-24. Perricone C, Valesini G, Shoenfeld Y. Measles, mumps and rubella vaccine: A triad to autoimmunity.Vaccines and Immunity 2016; 129-34. Levy RA, Rezende RPV. Yellow fever vaccine and autoimmunity.Vaccines and Immunity 2016; 135-40. Smyk DS, Sakkas LI, Shoenfeld Y, Bogdanos DP. Hepatitis vaccination and autoimmunity.Vaccines and Immunity 2016; 147-61. Tomljenovic L, Shaw A. Adverse reactions to human papillomavirus vaccines.Vaccines and Immunity 2016; 163-74. Jara LJ, Medina G, Domingez PC, et al. Influenza vaccine and autoimmune diseases.Vaccines and Immunity 2016; 175-84. Bellanti JA. Overview of Immunology.Immunology IV, Clinical Applications in Health and Disease 2012; 3-40. Wang H, Zhang W, Gu H, et al. Identification and characterization of two linear epitope motifs in hepatitis E virus ORF2 protein. PLoS ONE 2017; 28: 1-15. 28: 1-15. Yang FQ, Rao GR. Research progress of therapeutic vaccines against hepatitis B. Infect Dis Info 2015; 28: 65-9. Rajčáni J, Szenthe K, Bánáti F, Ásványi B, Stipkovits L, Szathmary S. The use of rabbit model for the efficacy of a novel epstein - Barr Virus (EBV) peptide vaccine. J Immunol Clin Research 2016; 3(1): 1028-39. Ramanathan B, Poh CL. Synthetic B-Cell epitopes eliciting cross- neutralizing antibodies: strategies for future dengue vaccine. PLoS One 2016; 11(5): e0155900. de Vos Van SPJ, Ramwadhdoebe TH, Lowik MJ, et al. A placebo controlled randomized HPV16 synthetic long-peptide vaccination study in women with high-grade cervical squamous intraepithelial lesions. Cancer Immunol Immunother 2012; 61: 1485-92. Kanduc D, Fasano C, Capone G, Delfino AP, Calabrò M, Polimeno L. Applying the concept of peptide uniqueness to anti-polio vaccination. J Immunol Res 2015. Article ID 541282.